Why not smash the myths around 'Brahminical patriarchy' first? Twitter head Jack Dorsey held up a 'Smash Brahminical Patriarchy' placard. How accurate even is he? 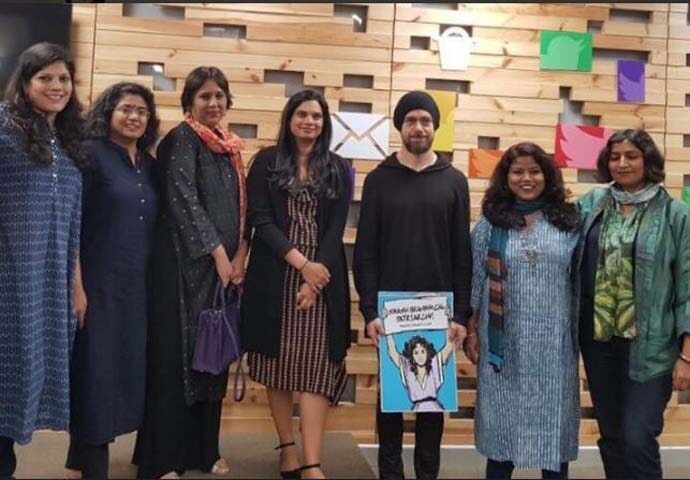 Jack Dorsey, CEO of Twitter, was seen holding a placard on which it was written 'Smash Brahminical Patriarchy', and this has aroused a storm in the media. So, what should the assessment be of Brahmins in India? To answer this question, we have to examine the caste system in some detail. Today, of course, the caste system is a curse on our country which is obstructing its progress — and it must be destroyed if we are to progress. But it was not always so. The caste system is a feudal institution, which introduced a rudimentary kind of division of labour in feudal society, and at one time, this led to tremendous progress. Let me explain. In tribal society, which preceded feudal society, humans lived by hunting and gathering, because agriculture had not yet started. From morning till night, people had to seek food by plucking fruits from trees or killing animals to feed themselves, otherwise they would starve. This left them no time for leisure or cultural and intellectual activity, and hence, there could be no progress. It was the coming of agriculture and slavery, which marked the first advance of mankind towards organised civilisation. Now many would be surprised by the above assertion. But the truth is that slavery (in ancient times) was the first division of labour in society, and, as the great British economist Adam Smith has pointed out, a division of labour leads to progress, as it results in a specialisation in work. For example, the great Ancient Greek civilisation (see Will Durant's The Story of Civilisation: The Glory that was Greece) would not have been possible without slavery. 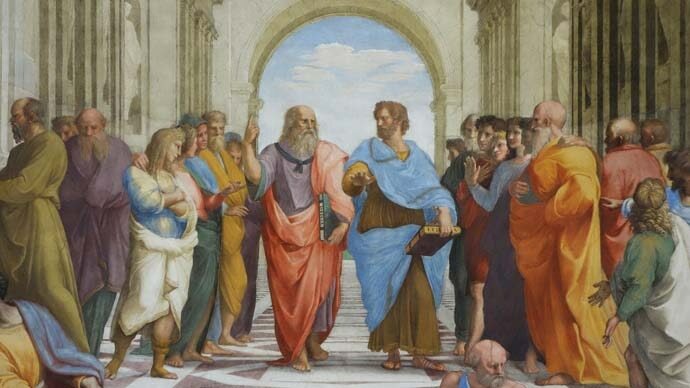 The great Greek literature, Greek science and mathematics, Greek philosophy, etc., would not have been possible without having a section of society (slave owners) set free from doing manual labour (which was performed by slaves) and free to do intellectual and cultural work instead. No doubt the plight of slaves was extremely bad — but it was likely better than life in brutal tribal society, for slaves were assured of food, shelter and identity, which people were not in tribal society. Similarly, the great ancient Roman civilisation and its achievements (see Will Durant's The Story of Civilisation: The Grandeur that was Rome) would not have been possible without the intensive labour and contribution of slaves. 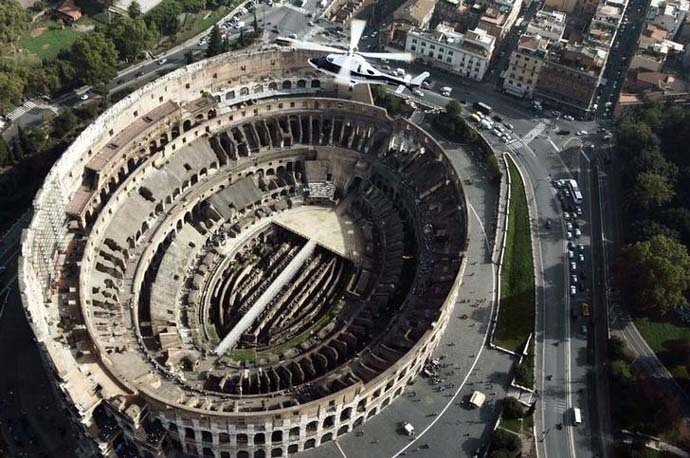 Without slavery, there would have been no Roman aqueducts, buildings (like the Colloseum, the Pantheon, etc. ), no Roman roads, no Roman law, no Roman literature (in Latin, which included works of history, poetry, etc). Now coming to India, the caste system introduced a rudimentary kind of division of labour in feudal society, which led to tremendous progress. In feudal society, though the vocation of most people is agriculture, there is alongside a handicraft industry too. While in theory, there were only four castes, in reality, there were hundreds. In fact, every handicraft vocation became a caste. Thus, carpenter (badhai), potter (kumhar), chamar (leather worker), lohar (iron worker), kewat (boatman), nai (barber) dhobi (washerman), etc., all became hereditary professions and castes. This was not unique to India. The same was prevalent in feudal societies everywhere. Thus, even today many Englishmen have surnames like Taylor, Baker, Butcher, Miller, Gardener, Potter, Mason, Smith, Goldsmith, Turner, Waterman, etc., which indicates that their ancestors belonged to these vocations. There was a small section of Indian society, the Brahmins, who were the priestly class, whose main function was performing religious ceremonies. But among the Brahmins, there were also some who stopped doing exclusively theological work, and instead also started doing work in science, mathematics, astronomy, medicine, philosophy, literature, etc. These Brahmins were thus left free from doing manual work (like tilling fields for agriculture) which was done by people of other castes, and could thus devote all their time to intellectual work. This did led to tremendous progress in science, mathematics, philosophy, literature, law, etc. There was no universal education in feudal society, firstly because the resources required were not available in such a society in view of the low development of the productive forces (even setting up a single primary school requires a lot of money), and secondly because feudal agriculture did not require people with formal education. So, in feudal Indian society, the only educated class, apart from some exceptions, were the Brahmins, whose language was Sanskrit (just as in Europe, the only educated class, with some exceptions, were the Catholic priests, whose language was Latin). 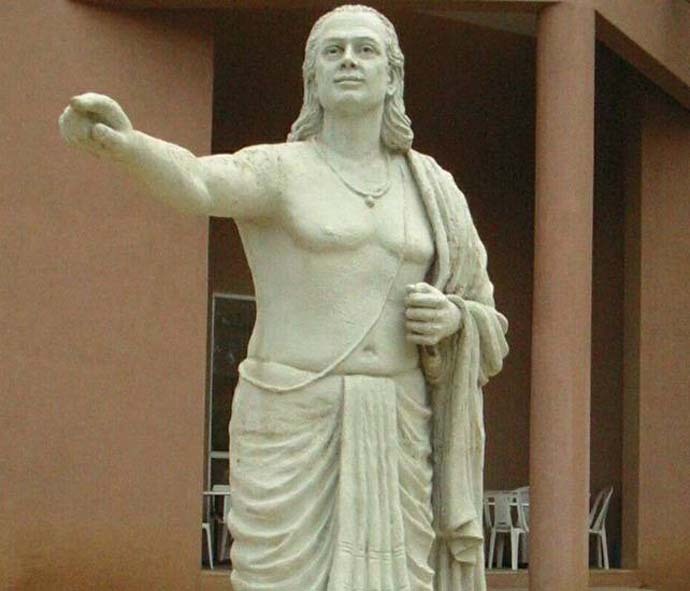 There was tremendous progress in ancient and medieval India in science, mathematics and astronomy — e.g., the decimal system in mathematics which was perhaps the most revolutionary invention in the ancient world, and an Indian creation, the works of Aryabhatta, Brahmagupta, Bhaskar, Varahamihira, etc.) , medicine (Sushrut, who invented plastic surgery, Charak, etc. ), philosophy (the range of Indian philosophy is wider than that of Western philosophy), literature (the works of Kalidas, etc.) law, arts, etc. (see in this connection my speech Sanskrit as a language of Science which I delivered in the Indian Institute of Science, Bangalore). Almost all this great intellectual work was done by Brahmins, because, as I have said earlier, they were almost the only educated class in India. When the British came to India, the Brahmins, the educated section of India, quickly learnt English, and this gave them a headstart over other sections of society, which led to them securing a disproportionate number of posts in the civil services, the judiciary, etc., and as professors, lawyers, etc. Today, of course, other castes have also caught up. So, it was not because they were tyrants or exploiters that the Brahmins — who were only 5-8 per cent of the Indian population — secured such a prominent place in Indian society, nor because they are inherently intellectually superior to other castes and communities. There were clear historical reasons for it, as I have explained above. 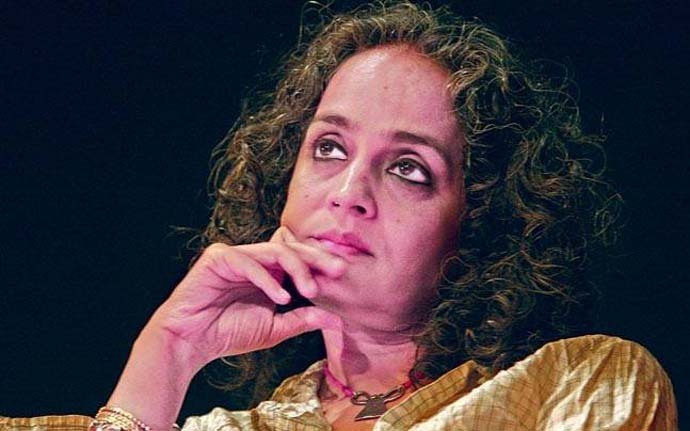 Some 'intellectuals' like Arundhati Roy have consistently attacked Brahmins and Brahminism. But I feel her view is against the nation's well-being, because it serves the 'divide and rule' policy of our enemies. It divides the Indian people on caste at a time when our unity is paramount if we are to face the great challenges ahead. Moreover, there are many Brahmins who are enlightened and modern-minded and who are against the caste system. Instead of antagonising them, Dalits and other oppressed sections of society should join hands with them in a united front against our common enemies. Isolationism, like that of some black Muslim groups in America, e.g. Nation of Islam, Black Panthers, etc., achieves nothing. Jack Dorsey, of course, was ignorant of all this and was taken for a ride when he allowed himself to be photographed with such a placard — but, to my view, it was unpardonable for people like Barkha Dutt to have been party to this event, instead of telling Jack not to play into the hands of some people who have their own agenda.